We are dedicated to providing tailored services to small businesses in Seattle, Bellevue, Kirkland and Redmond, and believe that each of our clients deserves the same quality of legal service that is available to big businesses. 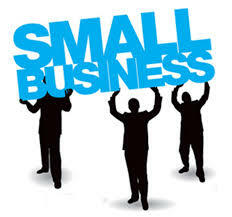 We specialize in start-up and established small and growing businesses. We offer business consulting services to help develop business plans, incorporate, determine tax strategies, brand products, find any required services, and plan for growth. As small business lawyers, we are committed to helping local businesses succeed. As a small business ourselves, we understand the challenges faced and strive to build lifelong relationships with each of our clients. We provide small businesses with the legal services required to get through entity selection, forming a company, and the maze of legal forms, leases, and regulations specific to each industry. We take the time to meet with and understand our clients’ unique needs, and work together to find solutions to any problems standing in the way. We help our clients decide whether to form a business entity, and what type of business entity to form: a sole proprietorship operating under a fictitious name; a partnership; a limited liability partnership; a limited liability company; a professional association; or a closely-held corporation. We draft documents and provide regulatory advice regarding the formation, organization, operation and sale of business entities, sole-proprietorship, joint ventures, corporations, partnerships, limited partnerships, limited liability companies, and non-profit organizations. Our clients range from mom and pop restaurants and small retail establishments, to large coffee roasters and commercial real estate firms. We provide business documents and legal advice with personal attention. We welcome inquiries from potential clients in need of experienced, dedicated corporate and business law counsel, and representation. We form business entities, and negotiate and draft organizational documents for a fixed fee. Additionally, we draft licensing, shareholder and partnership agreements, employment agreements and related organizational documents that are customized for all business needs. We negotiate and draft letters of intent, asset purchase agreements, stock and unit purchase agreements, merger agreements, partnership agreements, joint venture agreements, and the related documentation related to buying or selling a business. We also perform due diligence investigations associated with business transactions. We are also experienced in purchasing and selling businesses, including stock purchases, asset purchases, and commercial real estate. Contact us to learn how our group of Kirkland business lawyers can help you with your corporate or business legal matters. Call us for a free consultation.